Now you can schedule, view, cancel, start, monitor, or control your video meetings right from your iPhone or iPad, wherever you are, whenever you prefer. Easiest way to utilize BT Conferencing's Engage Meeting Manager on the go. 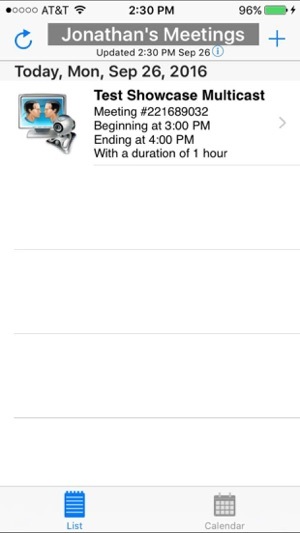 Schedule your video calls, control them, reschedule. All the essential functions are there.